This level is hard as it have two chocolate machines that will create chocolates automatically and any ingredients could stuck on it. For this level you need to play near to right corner chocolate machine and break grill box near them so ingredient wont stuck. As ingredient will appear try to play near them to take it down and make special candies or moon stuck could automatically take down ingredient to bottom. 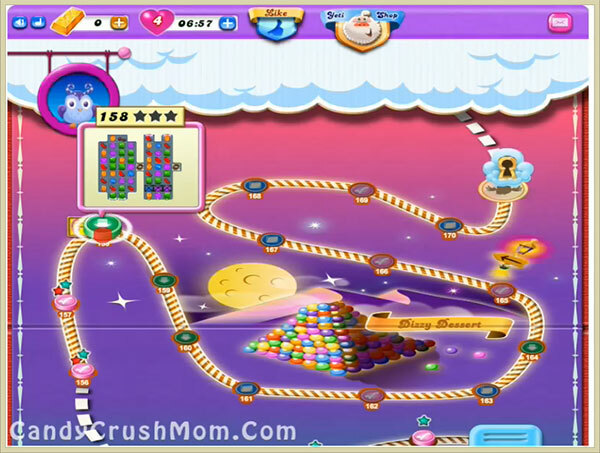 We completed this level with 41940 score by playing near to chocolate machine and use striped candy to break ingredient line horizontally to take it down fast and reach requirement with single star score.